July 15, 2016—California State Parks and Governor Brown are proposing radical changes to the Off-Highway Vehicle program in California. They want to end the current program and merge it with the larger Department of Parks and Recreation. 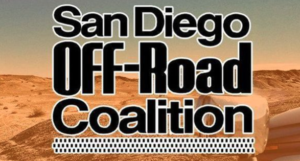 The OHV leadership in the state believe the current OHV program works very well and should remain close to how it is now; we feel this proposal would be a big step backward. We are asking you to submit comments using the website www.savecaliforniaohv.org. Your comments may say that the current self-funded program meets the needs of off-road enthusiasts and that our program will be diluted and get lost if it is merged with State Parks. There may be an additional meeting in San Diego in August. Check back here regularly for updates.